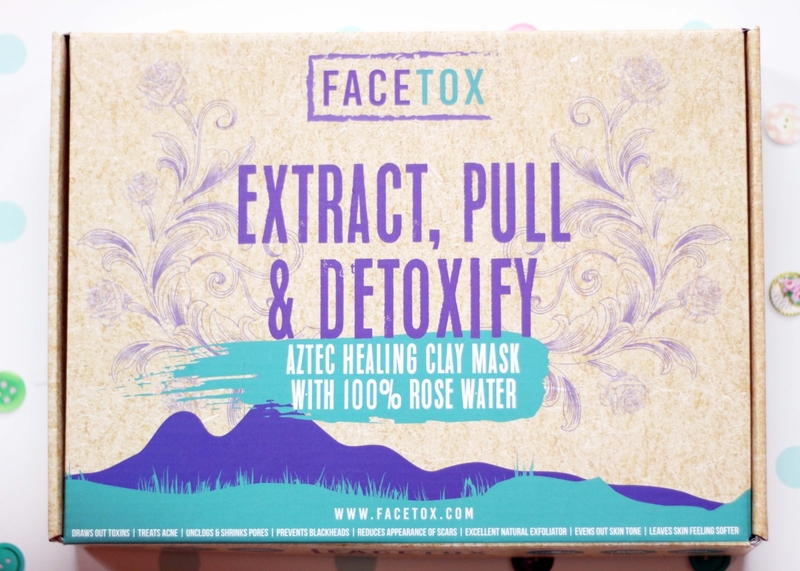 Detox is totally last year, it’s all about Facetox right now! I’m familiar with using face masks and I love clay masks especially, because they make my skin feel amazing! 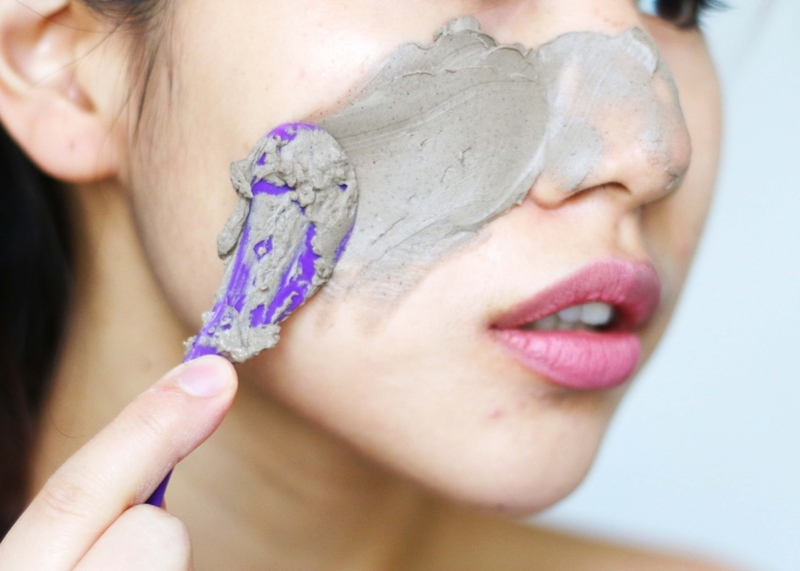 I’ve tried a lot of different face masks before like peel off masks, cloth masks and charcoal masks, but making my own clay mask from the raw ingredients provided is a completely new concept to me. It’s actually surprisingly fun and I just love the idea. 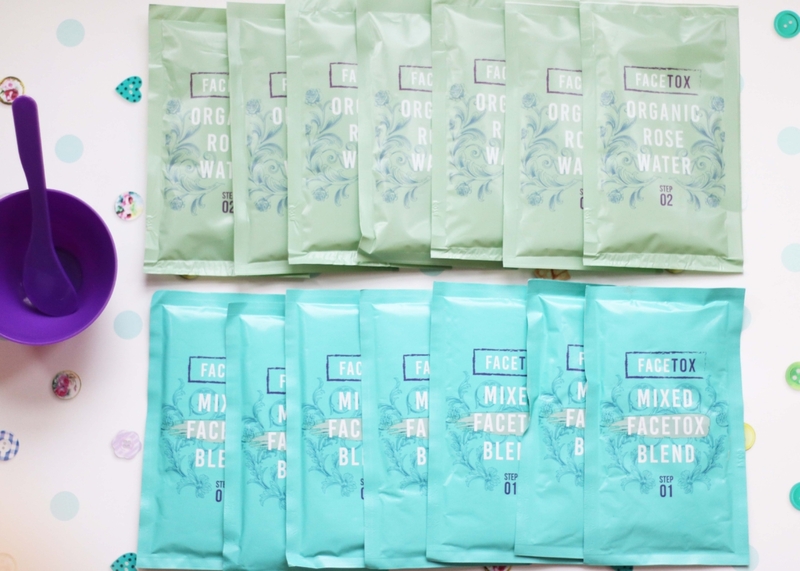 The package I got is their 7 Facemasks Pack for seven individual applications which retails at £24.99, but you also have the option to purchase a 14 or 21 Facemasks Pack for slightly cheaper per application. 7 applications for £24.99 is relatively expensive as it’s £3.57 per application and if you’re planning to use this on weekly basis as recommended, you’ll be looking at spending £186 per year. 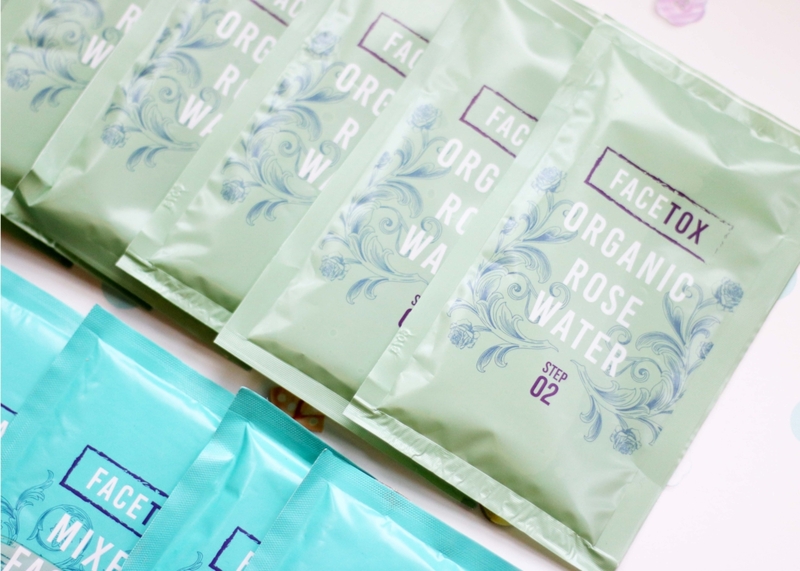 However, as you get an abundant of product per pack, you can pretty much get two applications out of one sachet of clay powder + one sachet of rosewater by only mixing half of each sachet for one application. 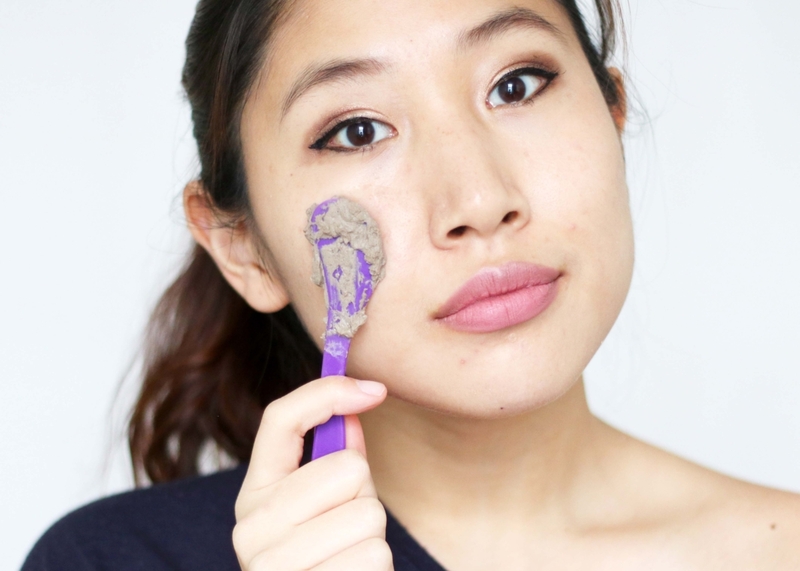 I know this works for me, but you might prefer using up the whole mixture in one go if you like a thicker mask! Mixing the product is super simple and you also get a plastic spatula and bowl in the package to make the process easier. 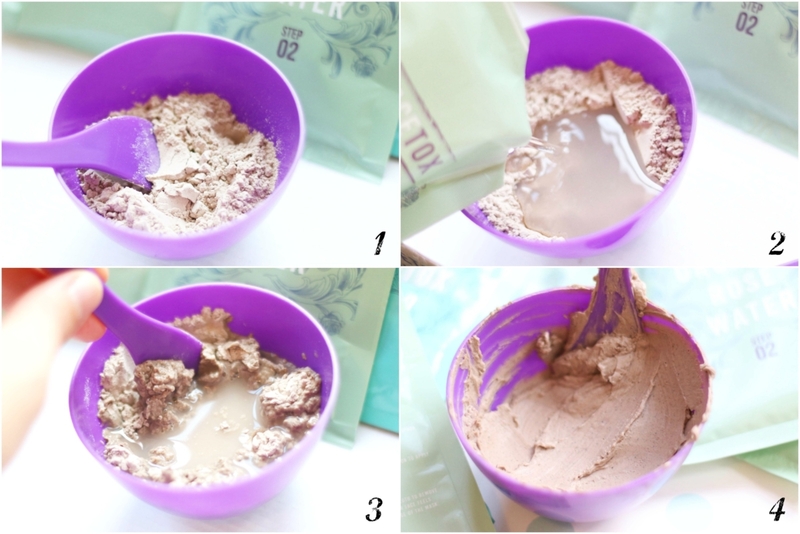 Creating the mask mixture is as simple as shown in the photo above: pour the clay powder into the bowl, pour the rose water into the bowl of mixture, then mix it until you get an even clay mask texture. The picture above shows the content of a whole sachet. I’m also surprised by how nice the mixture smells! I was expecting a sharp clay scent, but the clay powder doesn’t smell of anything so you only get a mild scent of rosewater which is lovely, and it also makes the treatment more enjoyable! The instruction recommends that you apply the clay mask with the plastic spatula, but I find it easier to apply with my fingers for an even finish. You are meant to keep the mask on for 30 minutes which is a lot longer than normal masks, but this is a deep treatment so it requires longer. However, the mask does feel slightly dry and tight towards the end of the 30 minutes but not uncomfortable. Some people find the removal part simple and stress free, but I thought it was rather messy as the mask came off in chunks instead of simply dissolving in water. But I blame it on not having the right equipment as a good Konjac Sponge (also available at Facetox) is meant to make the whole process easier! 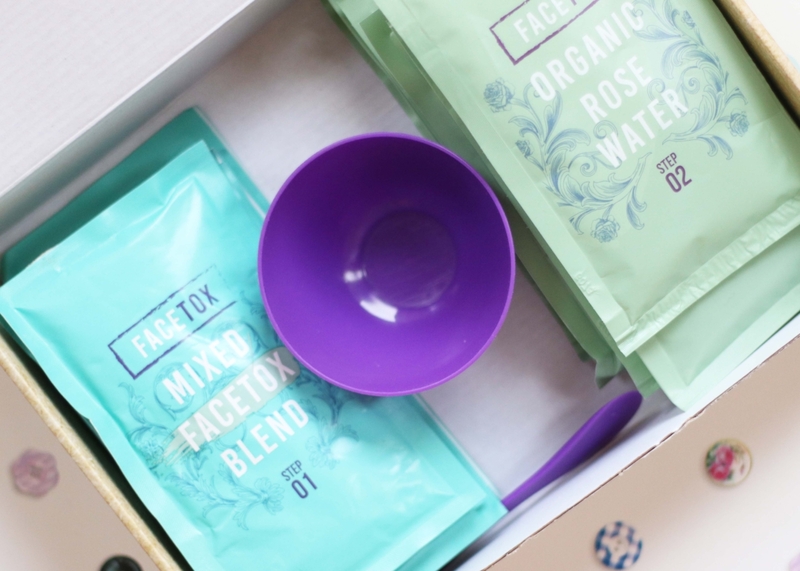 It was super fun trying FaceTox and I’m really impressed by the results. Looking at other people’s reviews, it sounds like I’m not the only one who loves this mask! 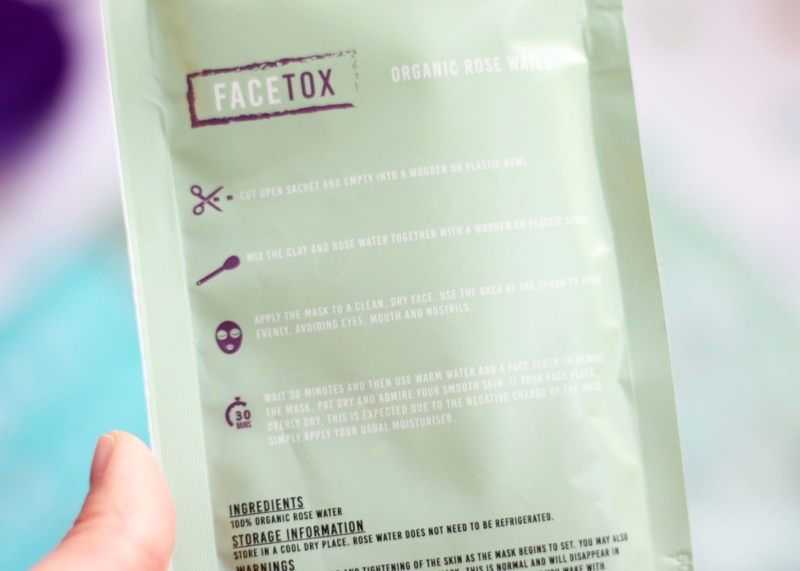 There’s a lot of hype around this face mask amongst celebrities and bloggers alike, and I can see why! 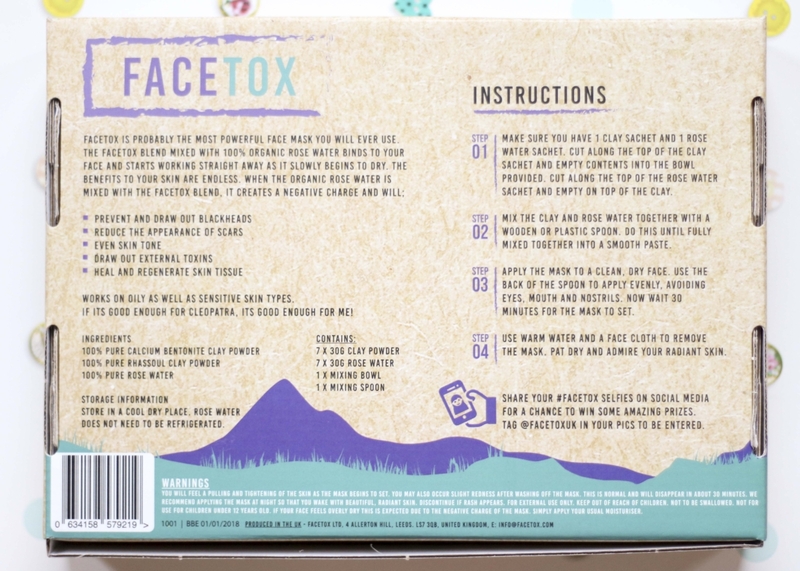 FaceTox really cleared out my pores, made my skin a lot smoother and brightened up my face! Although the immediate effect isn’t visible in photos, I did feel that it gave me smoother and plumper skin as well as smaller pores. It literally felt that the mask stripped off a top layer of dead skin to reveal a new layer of fresh baby smooth skin! However, my skin does feel a little dry and sensitive, especially around my cheeks and forehead every time I use this mask. But it’s nothing a good trusty moisturiser/essence oil couldn’t fix. In addition, my skin also absorbed moisturisers much better after each treatment. If you happen to be using this in the summer, I also recommend that you use a sun screen. Like all detoxes, the positive effect doesn’t last forever and you will need to apply this regularly for a long lasting effect! 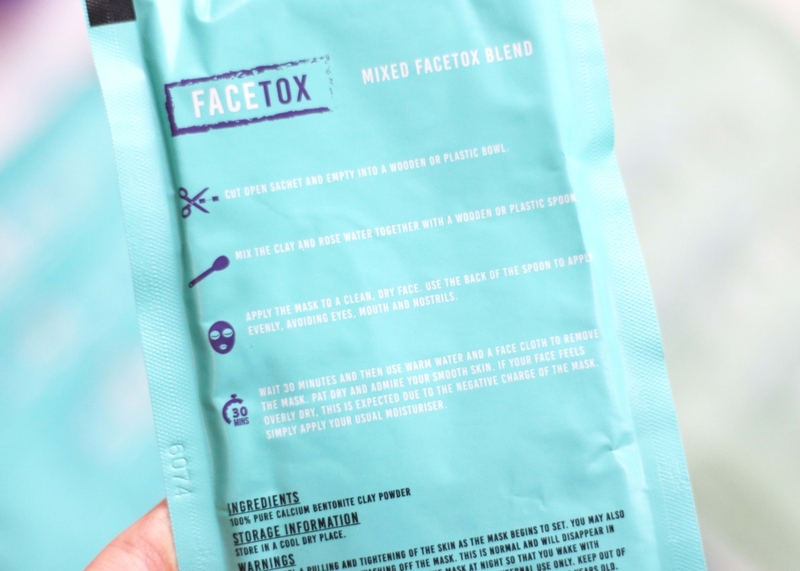 FaceTox is a great instant fix, but I wouldn’t be using this every week because I just can’t afford spending £200 on face masks per year and it’ll make my skin too sensitive if I use it every week. However, I will definitely keep a stack of these in my beauty cupboard which I’ll dig out before a date, party, important meeting and holiday. *Disclaimer: The product in this post was sent to me for review purposes, but the words are 100% my own.